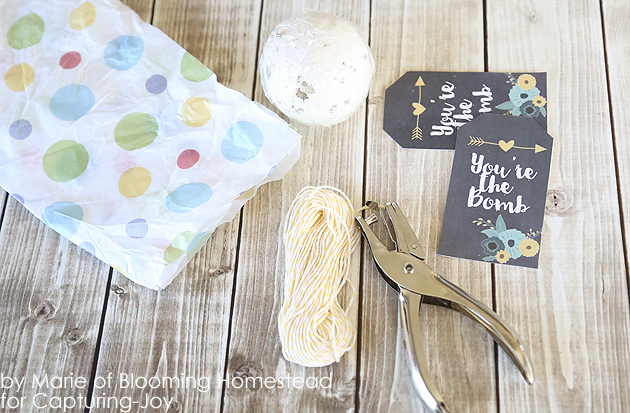 Add these bath bomb gift tags to your favorite bath bombs to create a fun gift or cute party favor. Hello Friends! I’ve got an easy diy gift idea for you today. 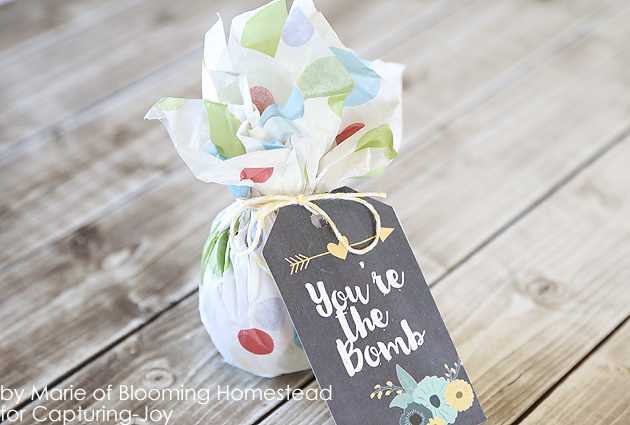 These printable Bath Bomb Gift Tags are so cute and turn your favorite bath bomb into the perfect gift for Mother’s Day , teacher appreciation, birthday, or just because! First, you’ll cut your tissue paper into a large square. Gently wrap around your bath bomb and secure with bakers twine. Next, you’ll cut out the gift tags and punch the top with the hole punch. 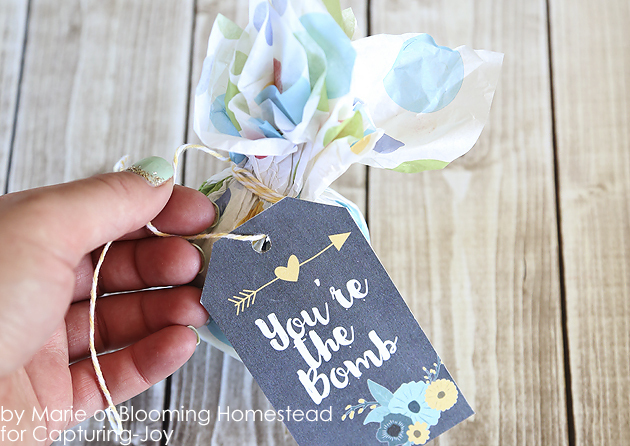 Click to download You’re the Bomb Printable Gift Tag over at Blooming Homestead. You can attach the bath bomb gift tag using the excess bakers twine. Be sure to write a personalized message on the back and you are set! I love simple gift ideas such as these. I was planning to make up a few of these to keep in my closet. It is amazing how often I wish I had something special on hand to give to someone who totally deserves it. Or maybe they just need a little sunshine added to their day. We’ve all had days like those! 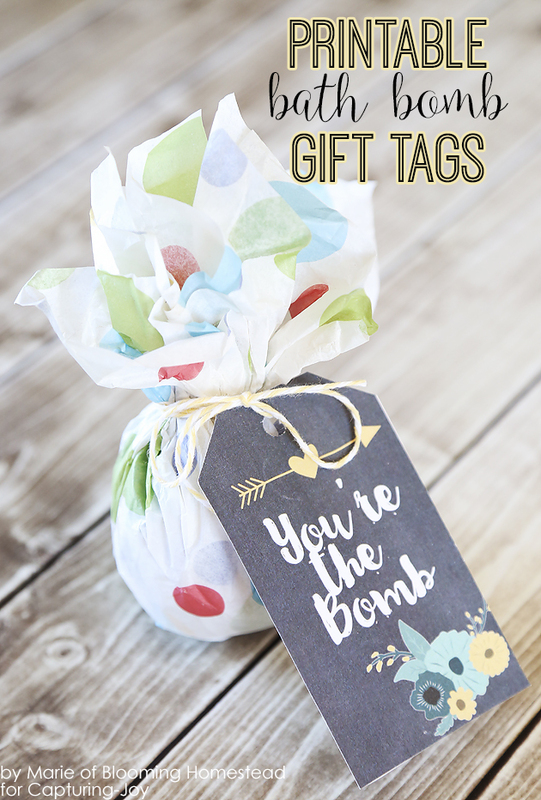 I hope you find a dozen ways to use these fun bath bomb gift tags.